Juice It Up is located in the Titan Student Union Food Court and believes life is all about blending the right ingredients in the right proportions: nutrition, health, love, passion, work, family & friends. Our commitment to quality includes using fresh ingredients and offering delicious options for our customers. Juice It Up! 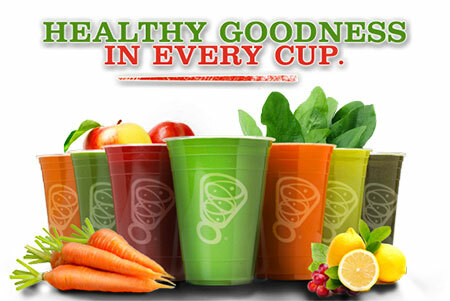 combines fruit, proprietary fruit juices, non-fat yogurt, sherbet and nutritional and vitamin supplements to create smoothies that are consistently voted “best tasting” in blind taste tests among the top smoothie and juice bar chains.